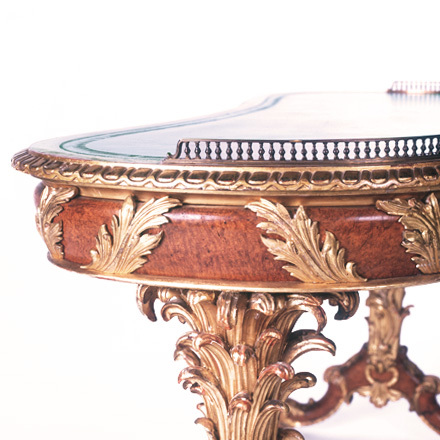 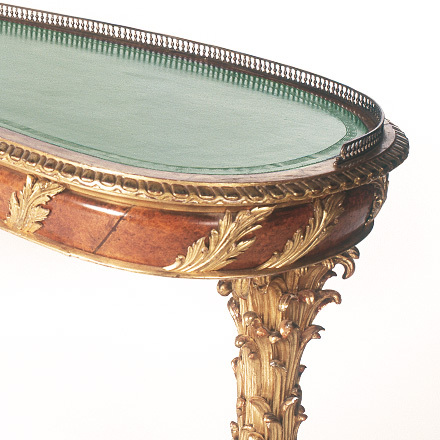 A George III kidney-shaped writing table with hand-carved acanthus leaf detail on the apron and legs. 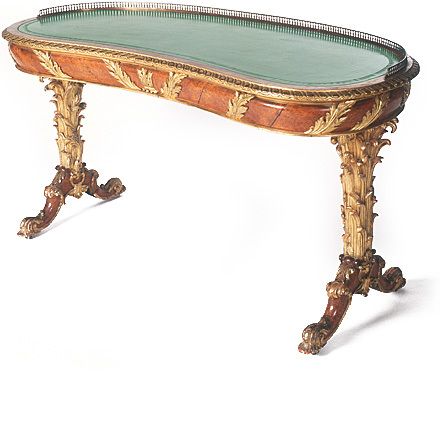 It features two concealed drawers, an aged leather top and aged brass gallerie. 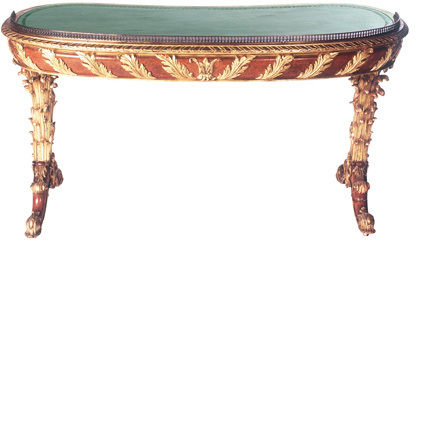 The original piece is in the collection of Mr. and Mrs. Gordon Getty, San Francisco.